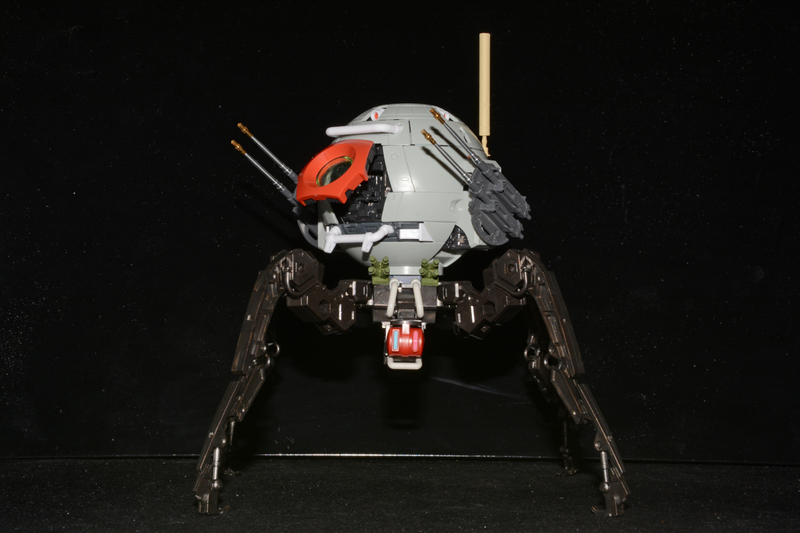 This is the Bandai 1/100 Mobile Pod Ball being modified as an autonomous weapons system. 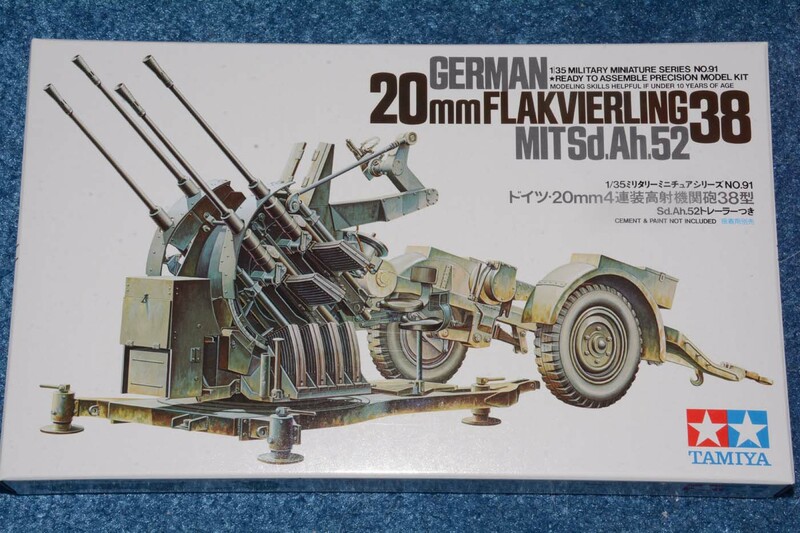 I am adding the Tamiya 1/35 20mm Flakvierling guns to it. 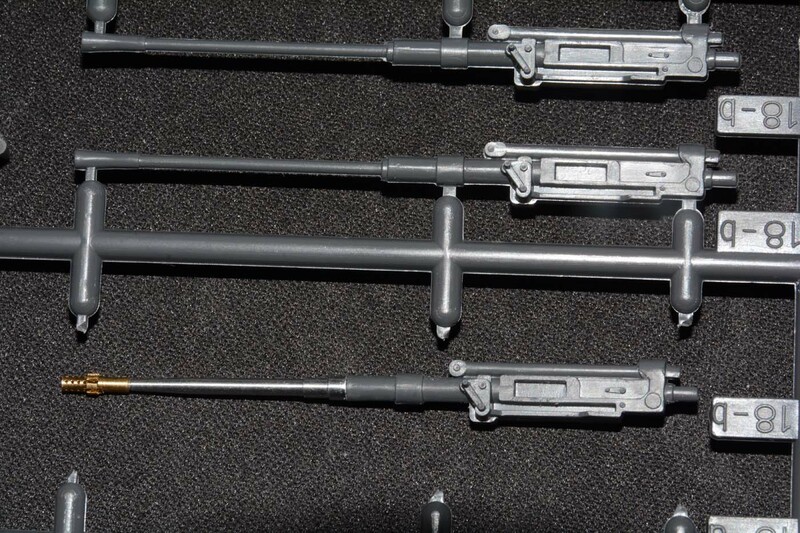 I replaced the Tamiya kit barrels with some RB Model 20mm KwK 30 metal barrels. 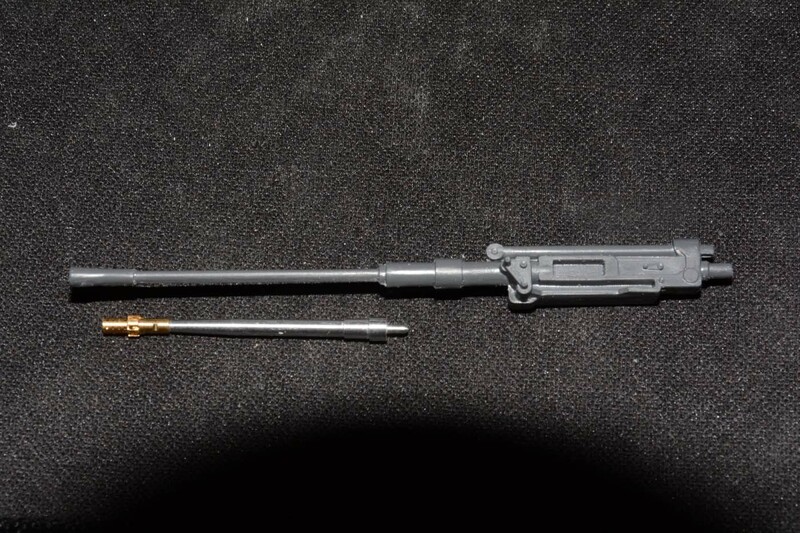 This weapons system will be done as 1/35 to go along with some of my other 1/35 what if projects. It is still a WIP. It will eventually be painted in some sort of camo but not sure what yet. 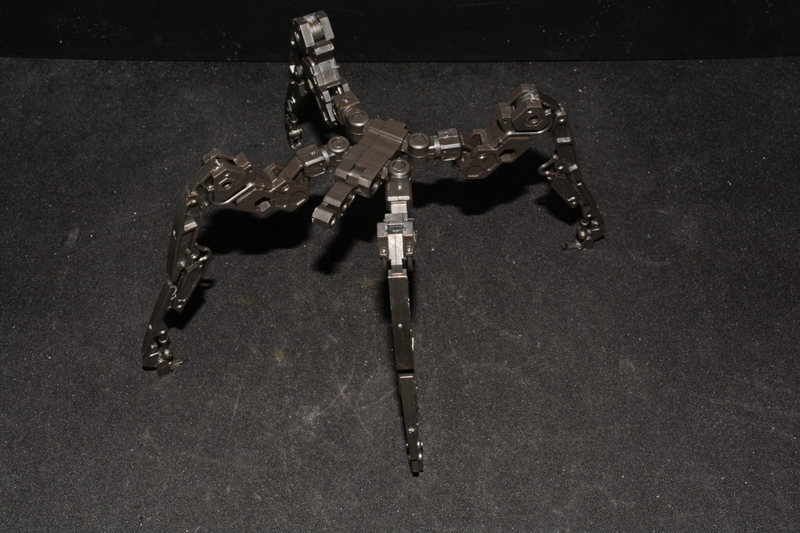 It will be mounted on mech walker legs. 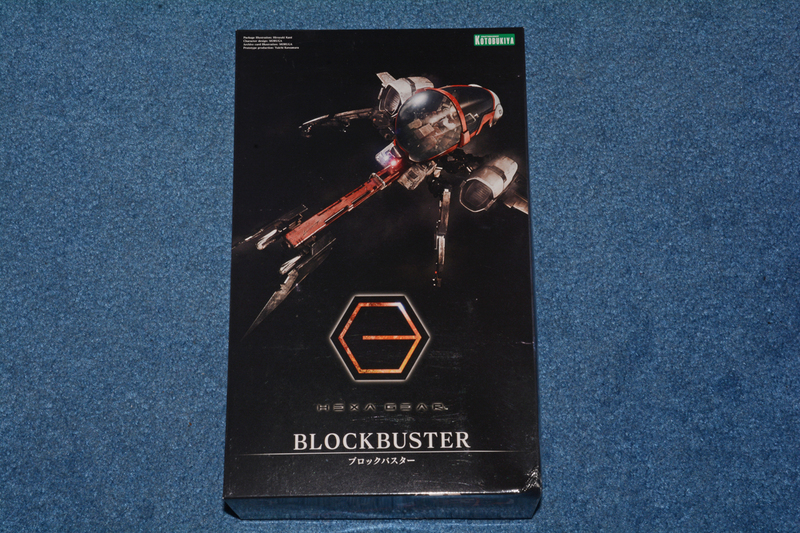 Here is the KOTOBUKIYA HEXAGEAR Blockbuster VF Ver KA kit. I am only using the mech legs though. 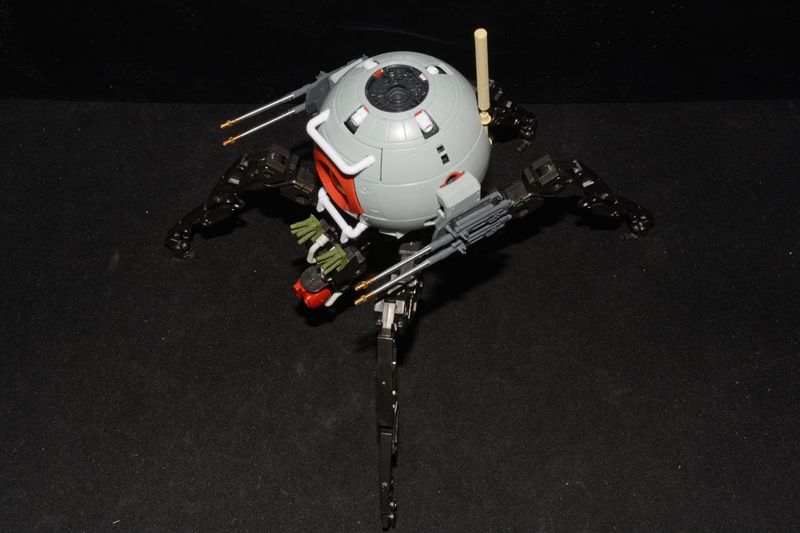 They are pretty sturdy and supports the Gundam Ball nicely. 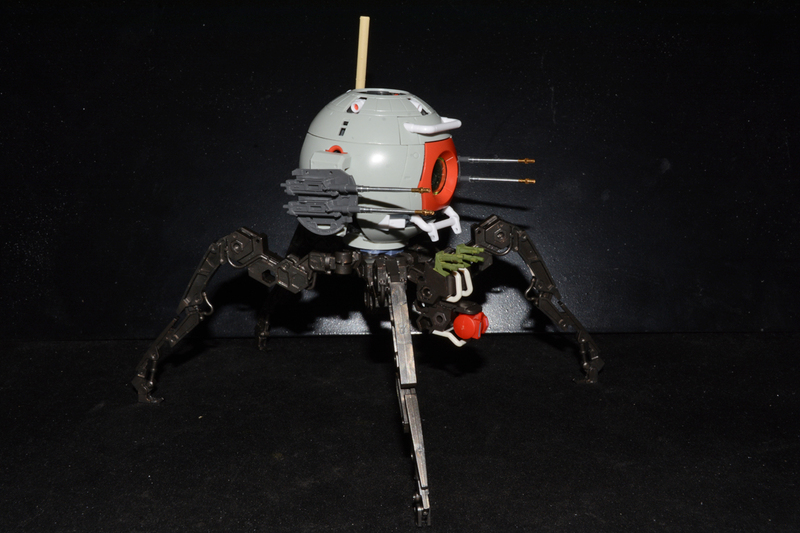 The Gundam Ball is just resting on top of the legs for now. 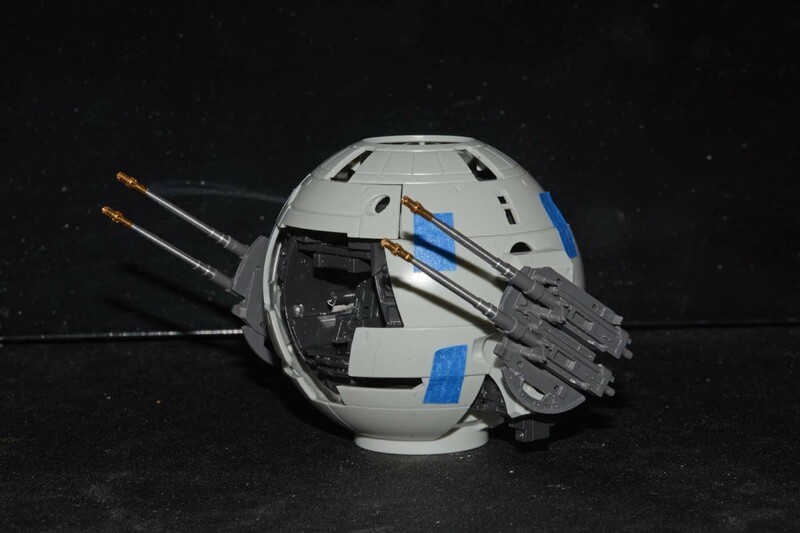 I still need to find a way to attach the Gundam Ball to the legs so the ball rotates. I think I have a trashed Gundam kit somewhere that I can use the connection part from the torso. 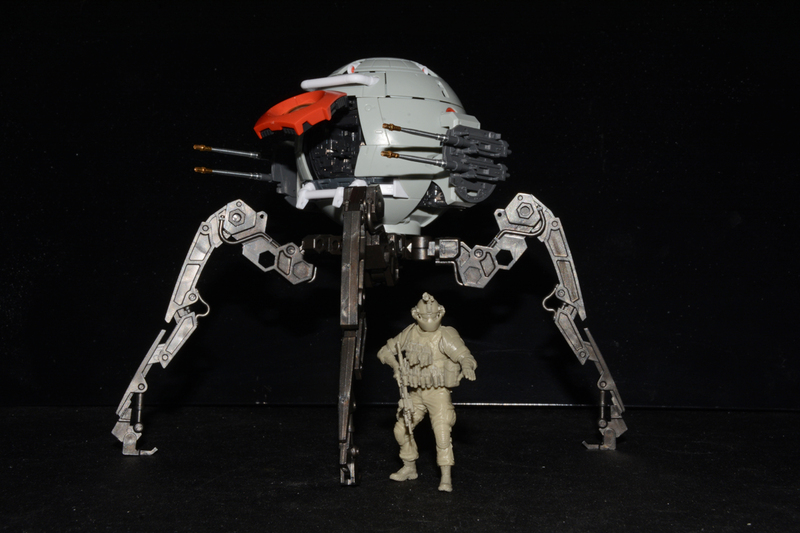 The Gundam Ball is 1/100, the guns are 1/35 and the Hexagear is 1/24 but my kit bash will be a 1/35 autonomous fire support weapons system. I put a Live Resin 1/35 figure next to it for size comparison. Very interesting wee thing. Looks vicious, like it would sink those 20mms into you as soon as look at you. 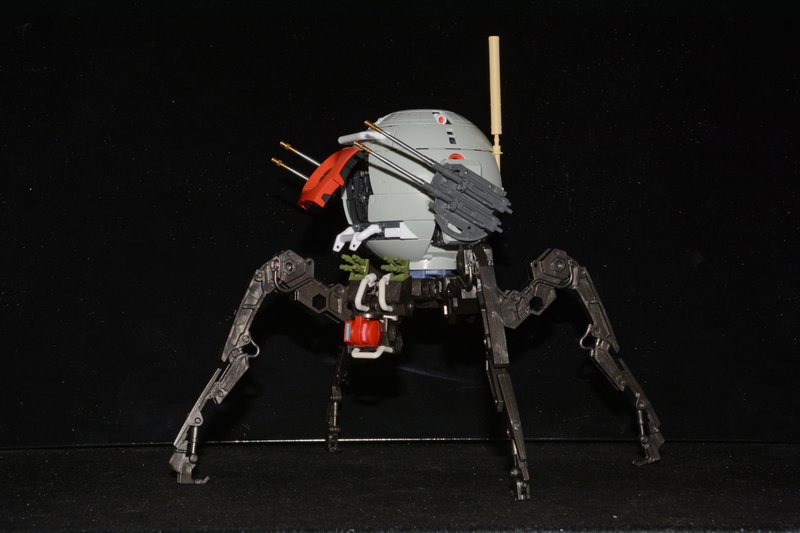 In the January issue of the Hobby Japan magazine there was also a Gundam Ball build, set upon a quadruple "chassis" - even though the latter was more massive. 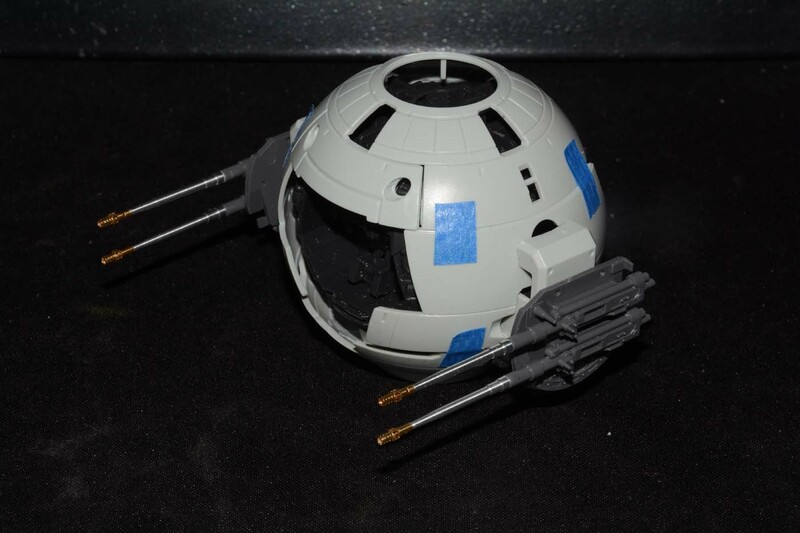 I wonder if you can mix the Ball pod with some Tie Fighter parts...? I wanted the ball to rotate freely on the legs so that the ball could rotate without having the legs turn the whole system around but I am having a hard time fitting the ball to the legs. I don't have anything in my spares box that will attach the two different companies parts together. I will probably have to scratch build something. 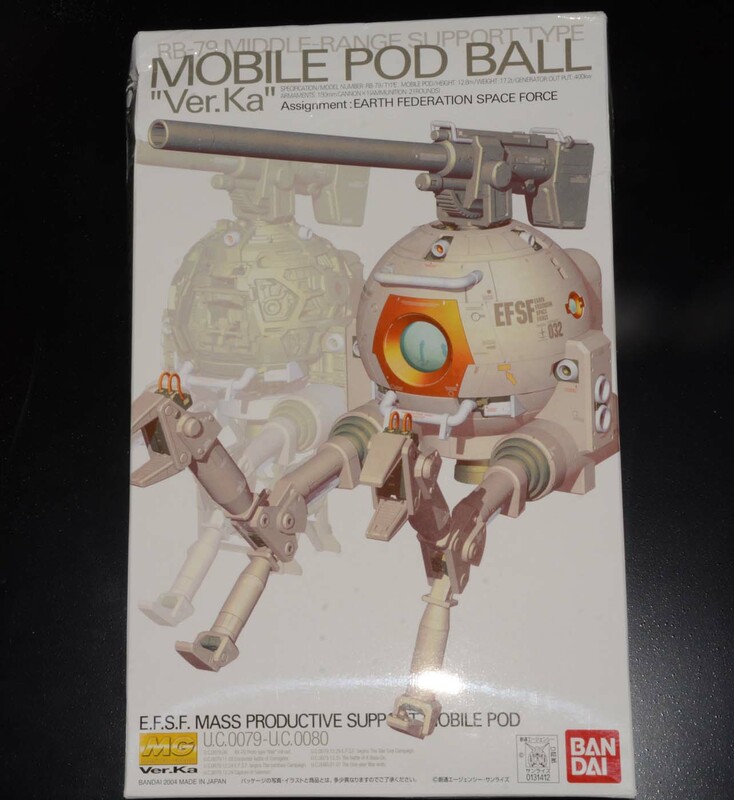 Bandai does make a Polypod kit with the mech legs included but the Polypod kit is pretty expensive and the ball still doesn't rotate freely. 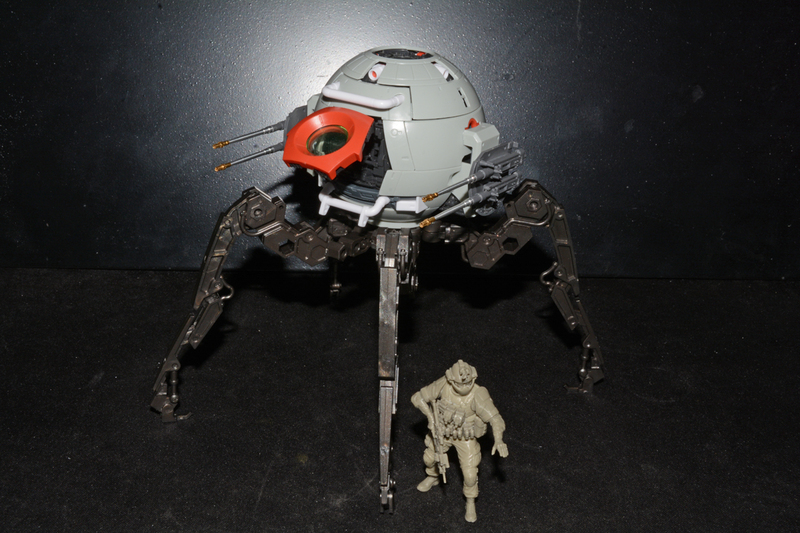 The Bandai Gundam Ball and the KOTOBUKIYA HEXAGEAR kits I got were a lot cheaper than getting the Polypod kit by itself. 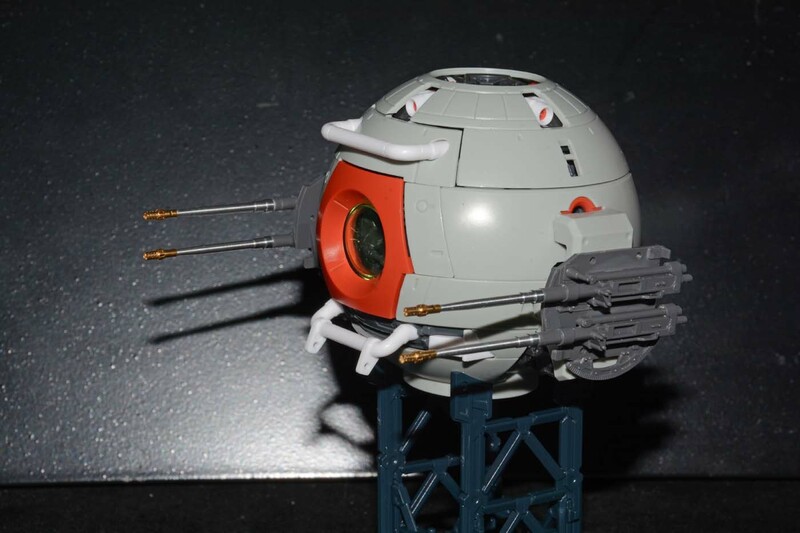 This is why I went with getting the Gundam Ball and Hexagear kits. 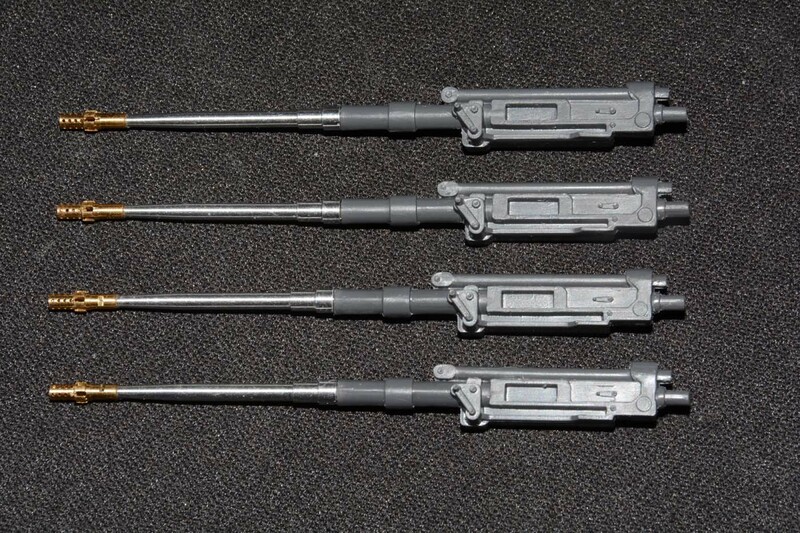 Even with the Tamiya 20mm Flak and metal barrels, all together it was still cheaper than getting the Polypod kit. 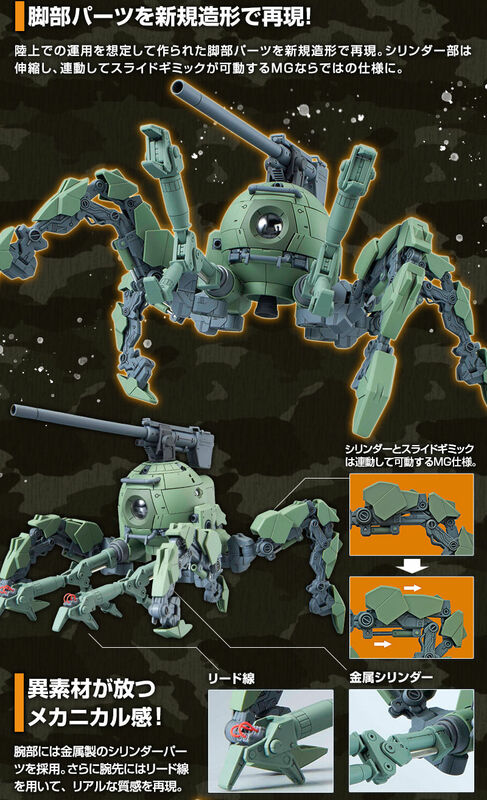 I got my Bandai 1/35 M61A5 MBT cheaper than the Polypod kit. 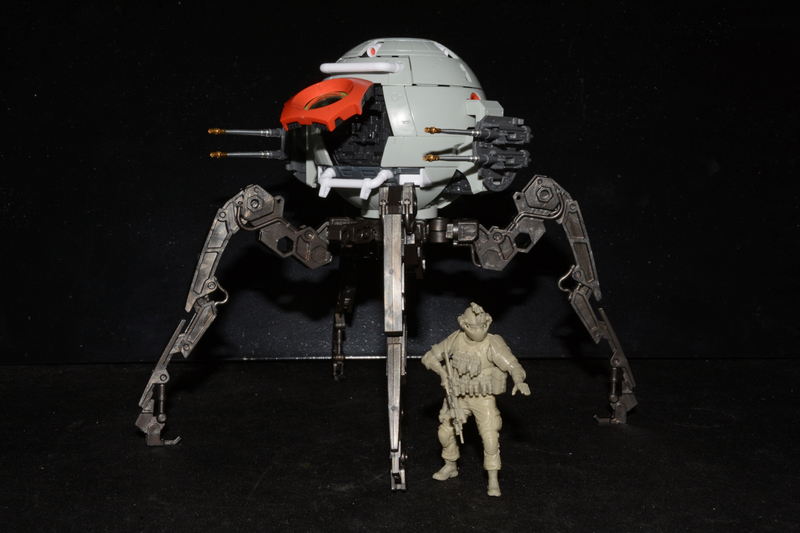 Here is the Polypod kit I was looking at but it is just not affordable at this time. I've got that LiveResin dude! Mine's painted up for a Sci-Fi diorama but he appears to have lost his optics, so (unless I can find them) I may have to source something to replace them. Sorry you lost the optics. I think Live Resin sells them separately though. I bought mine second hand which was already partially assembled. The previous owner broke off the edge of eye cup off the NVG. Not only that, he didn't include the front groin protection pad or the rear lower back pad. Should be easy enough to scratch build anyway. Managed to rig something to get the ball fitted tot he legs and still rotate. Not exactly what I wanted but it works. Also added a FLIR, smoke dischargers and a DUKE antenna. Cool, I like your "variant" with less massive legs a lot. Looking very good! 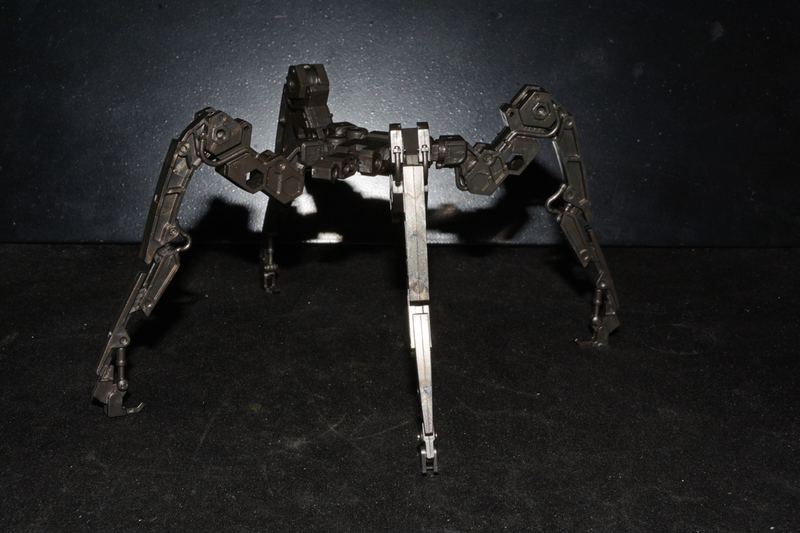 For me it's like the sentry guns in Aliens evolved legs and attitude.